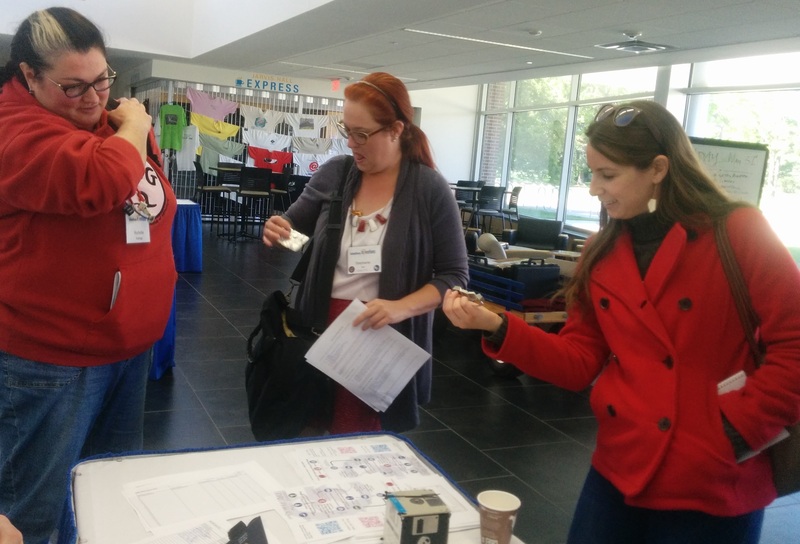 Last week, we reflected on the DRC Wiki Quest at Computers and Writing 2015. This week, we’re getting to know our winners and their experiences with the quest. We want to congratulate the three grand prize winners, Alyssa Hillary, Stephanie Vie, and Shelley Rodrigo, who completed the steps in the DRC Wiki Quest. We also want to congratulate all the other questers who participated in the DRC Wiki Quest and helped collaboratively build the resources of the DRC Wiki. First up, meet DRC Wiki Quest winner Stephanie Vie, who won as a grand prize a copy of On Multimodality: New Media in Composition Studies by Jonathan Alexander and Jacqueline Rhodes. Stephanie Vie is Associate Professor of Writing and Rhetoric at the University of Central Florida. She researches social media’s impact on literate practices and is currently conducting several grant-funded national surveys of faculty members’ attitudes toward social media in composition. She is a Reviews Co-Editor for Kairos: A Journal of Rhetoric, Technology, and Pedagogy and a Project Director with the Computers and Composition Digital Press. 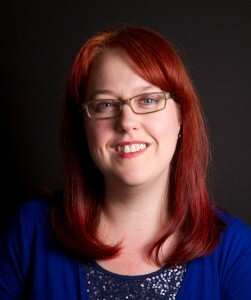 Her work has appeared in journals like First Monday, Computers and Composition, Technoculture, and Computers and Composition Online, and her textbook E-Dentity (Fountainhead Press, 2011) examines the impact of social media on twenty-first century literacies. We asked Stephanie Vie a few interview questions about the DRC Wiki Quest experience. What inspired your participation in the Computers and Writing 2015 DRC Wiki Quest? Shelley and I attended many of the same conference sessions at Computers and Writing 2015, and we also had the opportunity to hang out at several of the evening events (like the pub crawl). We both attended many of the games-related sessions at C&W and she knows I’m interested in researching games and social media. So one day at the conference she ran up to me and she told me I should be editing the DRC wiki because there wasn’t enough on there about games. Of course, I ended up getting sidetracked and editing materials related to the Digital Media and Composition Institute because I had just recently been involved in co-authoring a piece for the special issue of Computers and Composition about DMAC, and I was also part of a panel at C&W 2015 on DMAC as well. So these things were on my mind at the time that I was at the conference. Later I’ll be going back to add more about gaming and social media, two things close to my academic heart. But yay for Shelley for pointing me in this direction–and she even won one of each of the cool prizes for editing the wiki at C&W! Describe your experience with the Wiki Quest: What was difficult at first? What did you learn that helped you overcome any initial challenges? I looked at the source code of successful pages as models to help me figure out what they should look like. Major Contributions to the Wiki: What articles/sections did you work on? What kind of content did you add? I worked on the Digital Media and Composition Institute (DMAC) at The Ohio State University page. I added content about the institute, the special issues of Computers and Composition as well as Computers and Composition Online, and the recent 2015 Computers & Writing special session on DMAC/CIWIC. These are all things that I have been personally involved with (I attended DMAC in 2008, co-authored a piece for the special issue of Computers and Composition on DMAC, and presented at Computers & Writing 2015 about DMAC). I believe in DMAC’s power as a place for networking and learning about digital rhetoric, so I wanted to share some of that information in the wiki. What would you say to others about editing the DRC Wiki? It’s fun, and once you get the hang of the wiki language–how to edit, how to link, how to add new pages–it’s not difficult to do. If enough people make edits to this resource, it could really be a go-to place for learning more about digital rhetoric. I’m already thinking about having grad students edit pages for future classes, and adding more information myself. Like any social tool, the wiki is only as good as the materials presented by us–the users. So if you are interested in something and it’s not reflected in the wiki, add it! If you see something and you’ve done some research or thinking about it, edit the page and talk about your contributions. Like any social tool, the wiki is only as good as the materials presented by us–the users. So if you are interested in something and it’s not reflected in the wiki, add it! We look forward to seeing more contributions from Stephanie Vie and her classes!